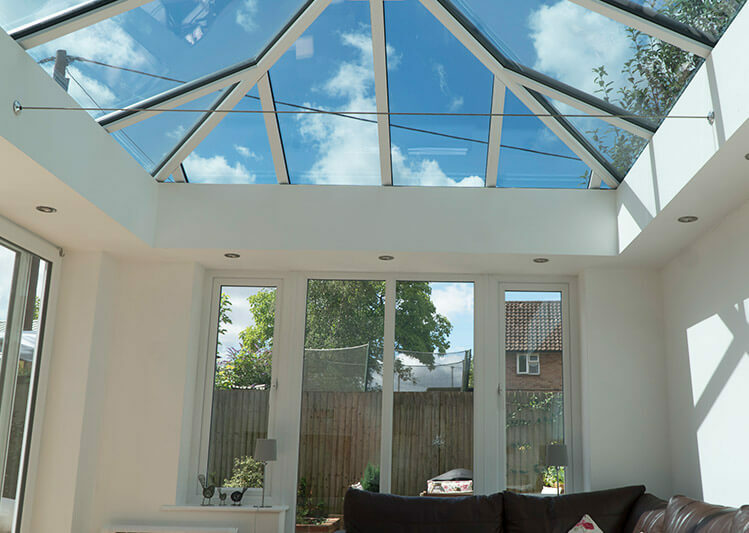 The LivinRoof extension is a type of conservatory for your home. It is designed to give you the flexibility to combine solid and glazed roofing seamlessly. The LivinRoof extension can help you extend your living space. It can also improve your home’s thermal performance to give you a room that you can use all year round. There is nothing worse than an unused conservatory, especially if you and your family could really benefit from the extra space. Fortunately, you will never fail to feel comfortable in a brand new Ultraframe LivinRoof extension. The combined glazed and solid roof design creates a versatile living space, suitable for year-round use, allowing you to experience the joys of natural light in a place that always feels like a natural part of the home, made possible from the solid wall surrounds and brickwork foundation. Not only are LivinRoof extensions stylish, they are durable and energy efficient. This results in a living space that stays comfortable all year round, for years to come. Heat is retained with the room and as much natural light as you desire can filter through to your property. Whatever you want from your living space, a brand new LivinRoof extension can deliver. It can be engineered to accommodate any shape or style of roof. Choose how many glazing panels are incorporated, and where you want them to be positioned. This results in a bespoke influx of natural light. 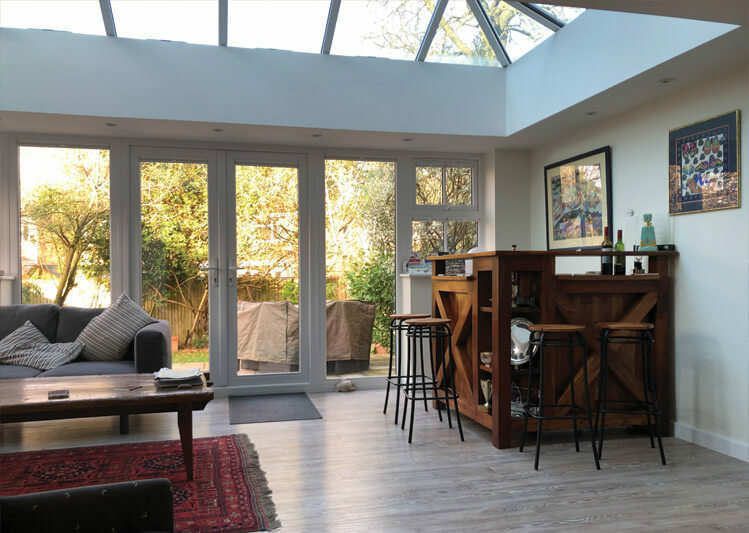 Internally, the innovative LivinRoof extension boasts a vaulted ceiling as standard, with a pelmet around the perimeter that can include lights and speakers. For a cosier feel, opt for a suspended ceiling which maintains the height of adjoining rooms. 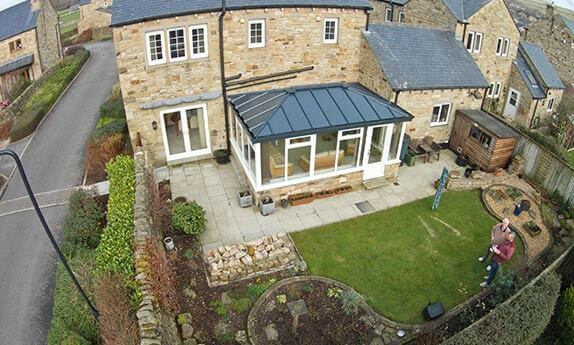 Why choose a LivinRoof extension from Oakley? 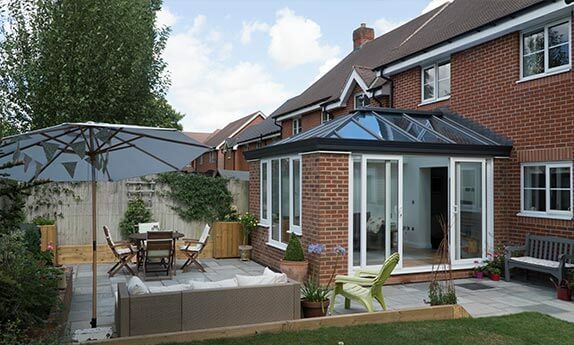 Here at Oakley Green Conservatories we use our expertise to ensure that you are provided with the most stylish, robust and beneficial products. We are proud to be an approved Ultraframe installer – a feat that is only possible with a reliable service and dedicated trades-people. LivinRoof extensions are now becoming one of the most popular home extension styles on the market, having wowed over 1.5 million customers. 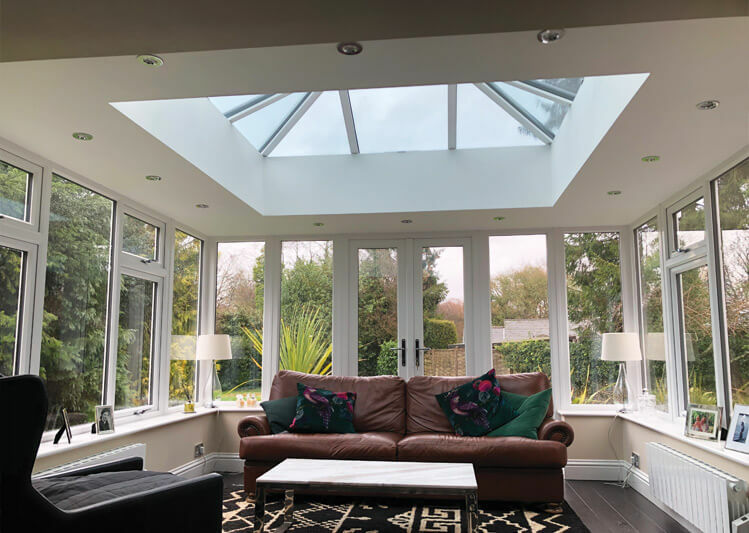 Combined with our knowledge and professionalism, installation of a brand new LivinRoof extension by the team, here at Oakley Green Conservatory, is guaranteed to enhance your property for years to come, whether you want to update an existing conservatory or make the most of a new extension.